Buying an air conditioner is an investment. Because they last upwards of a decade, it can be hard to determine (or remember) which is the best choice for your home since the last time you bought one. 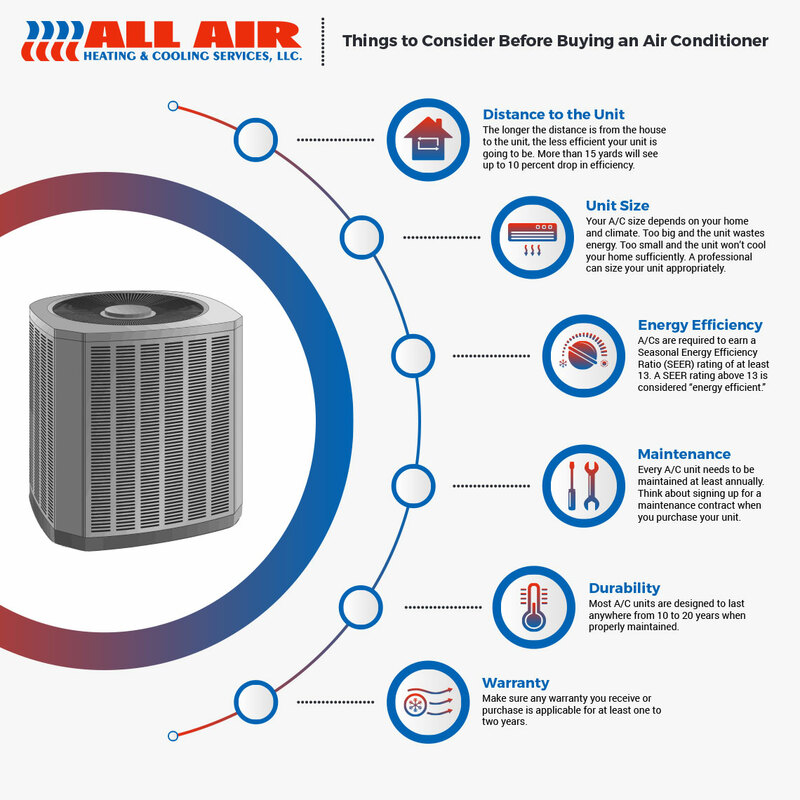 Whether you are a first-time buyer or an air conditioning veteran, these are some things to keep in mind before purchasing your unit. Our air conditioning service experts in Fredericksburg will work with you on an individual level, and will go over each of these points with you in depth. This way, you know you are investing in a unit you will be able to trust for years to come. Contact us today with any questions or for flawless AC installation!